When someone gets close to him, he gets shy and blushes. I used a photo resistor to sense people approaching. 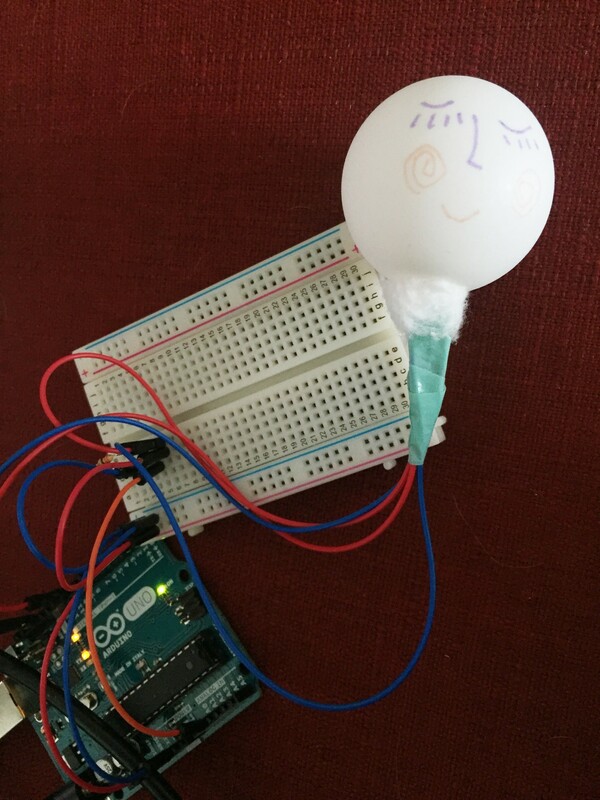 This entry was posted in Week 6: Microcontroller Workshop Part 1 on October 13, 2015 by Kehui Liu.